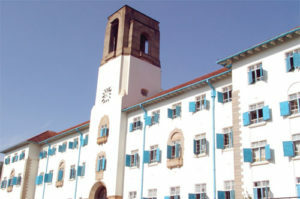 A total of 14 candidates have been nominated for the Makerere University guild race. File photo. KAMPALA–The search for a new Makerere University guild president started yesterday (Wednesday) with the nomination of 14 candidates, while three others are still awaiting approval. Those cleared are Prize Ahimbisibwe, Bruno Bayube, Dan Isabirye, Joe Javiira Kasumba, Edward Ssemakula Kinene, Silver Lwamaza, Florence Namuganza, Samuel Nuwataho and Emmanuel Johnson Obbo. Others are Salim Papa Were, Arnold Semanda, Andrew Julian Taliwaku and Henry Turyasingura. Those with pending cases and awaiting clearance include Ronald Ainebyoona, Fred Afro Andama and George Onesmus Mutumba. According to the university’s electoral commission public relations officer Denis Ssekyaya, campaigns will officially begin on February 16 at Complex Hall, starting from 3pm to 6pm. “Voting will be on March 2, 2018,” Ssekyaya said. Unlike last year where there were three females in the race, this year’s guild race has attracted only one female candidate; FDC-leaning independent candidate Namuganza.